Attending college has become necessary to stay relevant in the workforce. Today, the average yearly cost of college ranges from $16,000 for an in-state school to $37,000 for a private school. Many families find it difficult to pay for higher education, especially if more than one family member is attending school at the same time. The federal government, private organizations and schools provide several forms of financial aid to help pay for the rising costs of education. Financing an education can be costly and complicated. Initially, the burden of paying for school is the responsibility of the parents. Independent students and those pursuing post baccalaureate degrees must find a way to pay for school themselves. Loans, work-study, scholarships and grants are usually combined into a package by institutions to reduce the initial out of pocket costs to families and students. Grants are an excellent type of aid to acquire because they do not have a cost to the student. Grants are a type of financial aid that can be seen as a gift. This is because grants do not have to be repaid to the donor of the money. There are many types of grants available from organizations, schools, institutions and the government. Typically, there are certain eligibility requirements that must be met in order to apply for a grant. Whoever is funding the grant is free to set the criteria and deadlines for the application process. Finding grants to apply for can take a bit of research and the application will likely take some effort. However, finding a grant that works can help save money in the long term. Grants come in many different forms. The Federal Government offers need based grants and a few special programs. Most states offer grants for higher education in addition to Federal ones. There are also private grants offered by organizations, institutions, companies and foundations. These grants usually have additional requirements that must be met by the recipient. Always read the details of all obligations carefully before applying for or accepting a grant. This will ensure that all expectations are realistic and the funds will not be lost. The Federal Government provides several need based grants to students in financial need. Financial need is determined by the completion of the Free Application for Federal Student Aid (FAFSA). The FAFSA needs to be completed each year a student attends school and it accounts for all sources of income to determine a families expected family contribution (EFC). Available federal grants include the Federal Pell Grant, the Federal Supplemental Educational Opportunity Grant (FSEOG), the Academic Competitiveness Grant (ACG), and The National Science & Mathematics Access to Retain Talent Grant (National SMART Grant). Pell grants are based on tuition costs and financial need. Typically, Pell grants are only given to undergraduate students although there are certain exceptions for those pursuing a teaching certification. For the 2011-12 school year the maximum amount for a Pell grant is $5,550 per year. Two Pell grants may be granted per academic year to students enrolled in a degree or certificate program at least half time. Students whose parents died in Afghanistan or Iraq as a result of military service after September 11, 2001 are eligible for the full amount of the award. The student must have been under age 24 or at least a part time student when the parent passed away. Pell grants are distributed by the schools once per term or a minimum of twice per year. They can be paid out to the student or they can be applied directly to tuition and fees. The school is also responsible for notifying the student of the amount of the award. The FSEOG provides grants to undergraduate students who are eligible for Pell grants but show exceptional financial need. Awards range between $100 and $4,000 and they are awarded to the families with the lowest EFCs first. The amount of the award is based on financial need, tuition, costs and the amount of aid being awarded already. The FSEOG is paid out in the same manner as the Pell grant. First and second year students who are recent high school graduates may be eligible for the ACG. The ACG provides $750 for the first year and $1,300 for the second year. This amount may be adjusted if there are a large number of recipients. The ACG has specific requirements in addition to financial needs. To qualify, enrollment must be at least half time in a degree or certificate granting program. If a first year student, students must have completed a rigorous secondary school program after January 1, 2005 and must not have previously attended qualifying college or university. Second year students must have attained at least a 3.0 GPA in the first year of college. Rigorous secondary school programs are designated by the Secretary of Education and state education agencies or local education agencies. A list of recognized state rigorous secondary school programs of study can be found at the Department of Education website www.ed.gov. National SMART Grants are awarded to third and fourth year students that are eligible for a Pell Grant and have specific college majors. Eligible majors include computer science, life science or physical science, technology, mathematics, engineering or critical foreign languages. A GPA of 3.0 in the major’s coursework must be maintained to be eligible for the grant. The National SMART Grant awards up to $4,000 per year in addition to the Pell Grant. This amount may be reduced if the number of recipients exceeds the available funds. More details on the National SMART Grant can also be found at the Department of Education website. The Federal Government is the main source for need based grants to fund higher education. The first step in determining eligibility for any of these grants is the completion of the FAFSA. More information on the various types of Federal Grants and the FAFSA can be found at www.studentaid.ed.gov. From time to time the Federal Government offers special grants to assist with payment of tuition for specific circumstances. Two such programs currently exist, the Teacher Education Assistance for College and Higher Education (TEACH) Grant Program and the Iraq and Afghanistan Service Grant. The TEACH program provides up to $4,000 to those students that are studying to teach in elementary or secondary schools that serve children from low-income families. The TEACH program has very specific requirements for eligibility. Students do not need to demonstrate financial need, but they need to be enrolled in a school that participates in the TEACH program. Coursework must be related to the field the student intends to teach in and a GPA of at least 3.25 must be maintained. Students must also sign an agreement to serve. For each grant received, the student is required to teach full-time in a high need field in a low-income school for a total of four years after graduation. If the obligation is not fulfilled, the grants need to be repaid in full. There are many intricate details related to the TEACH program and the participating college or university can provide all of the details. More information can also be found on the web at www.studentaid.ed.gov. Beginning on July 1, 2010, the Federal Government started to offer a grant for students whose parents died as a result of military service in Afghanistan or Iraq after September 11, 2001. Unlike the Pell grant counterpart, these grants are not need based but they do have specific criteria. The award amount is the same as a Pell grant and the grant is dispersed in the same manner. Students must be under the age of 24 or they must have been enrolled in college at least part time when the parent passed away. Nearly every state has some type of grant or assistance program available to help pay for college. Many of these programs will require a FAFSA to be completed as well as some additional forms. The dollar amounts of the awards vary from program to program as do the eligibility requirements. The best ways to locate information about state grants are to speak directly with the schools financial aid office or simply search the web for grants available in the student’s home state. If searching the internet, be sure to look for the official site of the state as there are several sites related to grants that are scams. Certain grants are awarded based on the achievements of the student. These types of grants are often referred to as scholarships. Some grants that fall into this category are the Robert C. Byrd Scholarship Program and the Leveraging Educational Assistance Partnership (LEAP). The Robert C. Byrd Honors Scholarship Program is funded by the federal government and it is administered by the state. This scholarship awards an average of $1,500 per student and is open to high school graduates that exhibit outstanding academic achievement. Eligible students must apply for this grant directly to the state of residence. The LEAP program is administered by the state to assist low income individuals with grants and work-study in service based environments. Any student demonstrating financial need may apply to their home state. Details of other requirements for this grant can be researched with the high school guidance counselor or the college financial aid office. The average award for this program is $1,000 per student but up to $5,000 may be awarded. Many colleges and universities offer private grants to students to supplement the federal financial aid package that is provided. These grants vary greatly by school and even by major. The best way to inquire about grants specific to a school is to speak directly with the financial aid office of the institution. Some grants offered by schools have special requirements that the student must fulfill. These could include community service, maintaining a specific GPA, participation in sports or extracurricular activities, or any combination of things. When an aid package is being put together by a school, it is tailored to the individual and all requirements will be disclosed when the package is presented. Many companies offer grants or assistance to those who are employees or for immediate family members of employees. Checking with the human resources department of the employer is the best way to discover these opportunities. These grants are generally only open to employees and their children and requirements will vary by employer. Certain other requirements such as essays or academic achievement may apply. Some employers will offer grants to assist employees with the cost of education to help advance them in the workplace. In these cases, the coursework must directly relate to the profession that the employee is in. Certain organizations offer grants to those who are affiliated with the club or to their family members. For Example, organizations such as The American Legion, the Lions Club and the Brotherhood of Locomotive Engineers and Trainmen (BLET) offer grants and scholarships to those somehow affiliated with the organizations. The American Legion has several scholarships available each year. Generally, the requirements for these scholarships revolve around relatives or descendants of war veterans who are members of the American Legion. The American Legion also has scholarships for Eagle Scouts, nurses and baseball players. Various Lions Clubs throughout the US offer grants at different times. These scholarships are usually specific to a high school or location where the club is prominent and recipients may have to join or be a member of the Lions Club. The grants are not uniform and the dollar amounts vary greatly. Contacting a local Lions Club is the only way to determine if a scholarship is available. The BLET puts out a list of scholarships every year that children of BLET members can apply for. Available scholarships can vary from $1,000 to $10,000 or more. The list changes yearly and generally only children of BLET members are eligible. Sometimes financial need or merit will be a factor in meeting the requirements. These three organizations are only a small sample of the many scholarships and grants available. If any member of a family belongs to an organization, union, or social club, they should inquire about possible grants that children and students may be eligible for. Several of these types of grants are not advertised or open to the public. Minority organizations offer several types of grants to improve the number of minorities receiving a higher education. Minority scholarships are available for students from various ethnic backgrounds as well as women and students with disabilities. The various types of minority grants are too numerous to list. Some examples of organizations offering scholarships are The Hispanic Scholarship Fund, The Jeanette Rankin Foundation and The Gates Millennium Scholarship. 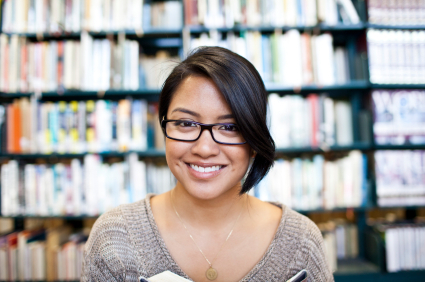 The Hispanic Scholarship Fund offers scholarships for students of Hispanic heritage. They have scholarships for those entering college, attending college and those transferring from a community college. All different levels of awards are available and each grant has specific requirements. For more information on these scholarship opportunities, visit www.hsf.net. Low income women over the age of 35 can apply to the Jeanette Rankin Foundation for a scholarship. The foundation considers finances, goals and plans for achieving goals when awarding scholarships. The application process is done yearly and past scholars are posted on the foundations site. The foundation’s website is www.rankinfoundation.org and all necessary information is listed at this site. The Bill and Melinda Gates Foundation selects 1,000 students a year to receive the Gates Millennium Scholarship. The scholarship is good until the recipient graduates and is open to minority students with financial need. Students must maintain high academic standards and support for graduate education is available for certain fields. Further information regarding the Gates Millennium Scholarship can be found at www.gmsp.org. There are several grant opportunities for minorities. In order to find an appropriate source of funding, students should research foundations, nonprofit organizations and the internet for ongoing grant opportunities. Most minority students will be able to find a scholarship opportunity with some dedicated research. Scholarships and grants are also available to encourage students to enter various understaffed occupations. These include fields such as teaching, computer science, and nursing. Grants of these types are generally need based and can be more difficult to find. Funding tends to come from private organizations or companies that have an interest in developing a solid future workforce. Examples include the Entertainment Software Association (ESA), the Health Resources and Services Administration (HRSA) and the Robert Noyce Teacher Scholarship Program. The ESA has a Computer & Video Game Scholarship Program. This program grants scholarships to women and minority students pursuing degrees in computer or video game arts. They offer 30 scholarships of $3,000 per year. More information is available at www.theesa.com. Students pursuing a degree in nursing may receive tuition, fees and a stipend through the HRSA’s Nursing Scholarship Program. The program requires two years of service in a facility with a critical shortage of nurses in exchange for the scholarship. Although anyone may apply, students with the greatest financial need will be considered first. Visit www.hrsa.gov for more information on the HRSA scholarship program. The National Science Foundation offers the Robert Noyce Teacher Scholarship Program to encourage professionals and majors in technology, engineering, mathematics and science to become teachers. A commitment to teach in high need schools is required. Awards include a stipend and tuition and can total over $10,000. Check with the universities financial aid office or visit www.nsf.gov for more information. Finding ways to fund a college education can be difficult. However, a little research and dedication can turn up dozens of free grant programs that can pay a portion of tuition and fees. To initiate the process, complete a FAFSA, check with employers, speak with local clubs and organizations and scour the internet. There are several sites such as www.grants.gov that can help students search through hundreds of opportunities. Books that list many of the available grants are also available. Another place to check is with a high school counselor or with the prospective college’s financial aid office. More and more students need assistance to make college affordable and grants offer an excellent opportunity to fund college and graduate with fewer loans to repay. I am a single mother of two young children, i am attending 3/4 time college to better myself for my family. I am quite new to the whole grant options? Please help me to understand how this works…where do i apply too? Im a 37 year old female. And I suffer from I from bi polar disoerder and I want to go to school.to get my pharmacy tech. I have 4 children that are grown and out of the bouse. And I would like to go to school to better my life. I am a single mom trying to return to school, and is looking for some one to help me ewith pell grants, and scholarships if possible. I am a full time student at a private Arts School. I’ve had problems with my student housing, I’m looking for a grant to help get an apartment, and help with some of my books. I need as much help as I can get, if there is anyone out there that has some advice for me, please reply to this. Your help would be greatly appreciated. Thanks. Hi,I read your request,It seems your best bet will be to locate the closest social services office in your area,ask them can you apply for rental assistance,as a student you should qualify to help.due to low income or no income,as you are a college student. Possibly food stamps as well.To find help for books,try Craig’s list,prev students may sell them very cheap,and also utilize the counselors @ your school,reach out to them for assistance.Don’t be afraid,you won’t know until you ask!!!! Wishing you the best of luck!!!! I would like to study in abroad after my a/l’ s at sri lanka. I am looking for a free scholarship or an aid to study in abroad. I am a senior citizen and a wife for 43 yearspresent attending Lawsonstate Community College, I have only one more year to go to get my degree in business. Now there is a problem I have already done all my quaterly hours on my pell grant, but I would like to finish up here. If I could continue my education without having to go to another college and having to put a halt on my education because of shortage of funds, It would be so amazing. Is there anyway you could help me to receive a free grant to finish out this year it would be very grateful. Hi Lillie,Wow!!! I applaud you for your persistance in continuing your education as a senior.Of course,you’d like to graduate from your current school.Start with some of the advisors @ the school,there has to be some leftover funding for students that could be utilized,at this point I’d wouldn’t consider a loan.Try to network with some of the local senior centers,local lion’s clubs are very generous,and also try goolge.com( grants for senior citizens reurning to school in your county) that should be helpful.Good Luck!!! Happy Graduation in advance!!! Iam a single women i donot have a Ged i want my GED and a want to go to college for law i am leally blind i do not have any kids now. Hi Kim, That’s great news!!! Ok,your local high school should offer GED classes,usually in the evening.If no luck there,community colleges offer them a well,they may charge a nominal fee for books,etc. Also,check associations for the legally blind local and national they can be a great resource,helps with your transportation & education costs as well.Wishing you luck!!!! Kim,also contact the Association of Blind Citizens,ask the about the Reggie Johnson Memorial Scholarship,the award is about $1,000-2,000. I am 16 and doing a NCS course in which we are to hold a fundraising event for a charity. As we are doing a ‘funday’ i was wondering if i could get a grant or busary of some kind that would allow me and my team to pay for some of the food and/or entertainment costs so that the maximum amount of money goes to our chosen charity. Help We are a low income family of 4 and I really wanna go back to school next month but I am not eligable for fafsa till january at least due to other loans being in deferment is there anything I can do ? I am thirty year old student playing catch up; I am married and have a son . I’ve been in school for the past three years. My student loans have become overwhelming. I am looking for a way to fund the year and a half I have left to get my degree. Good day and thank you. I am requesting assistance in securing a grant in order to complete a bachelor’s degree in economics with Charter Oak State College. Any form of grant assistance with a maximum amount of $2500.00 will be greatly appreciated. Thank you. thank you very much , but i need sponsor to finish my studies please i need help, for any information am on “nasraahmed306@yahoo.com. thank you. You are doing a great job out here. Looking for a grant, or scholarship to further my education. I have been at home for 12 years, since I finished my secondary education. Please I need your help. Thanks!! I’v just finished a degree program on Agricultural science in Ghana which is a country in Africa. I am an American and so would like to continue my education in the states but my GPA is bad. Please can anyone advice me on what to do, cause I need help.